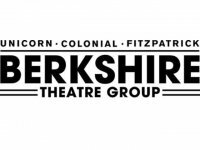 Berkshire Theatre Group combines the Berkshire Theatre Festival in Stockbridge and the Colonial Theatre in Pittsfield. There is a mix of year round performances at the Colonial and seasonal theatre in Stockbridge. For the third annual Berkshire Theatre Awards, at the Zion Luteran Church in Pittsfield, it took two hours to present trophies in 21 categories. Some 27 critics voted on awards to companies in the Berkshires extending into New York, Connecticut and Vermont. 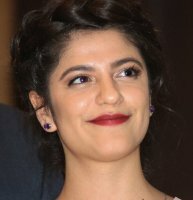 The top honors went to Barrington Stage Company with nine awards and Williamstown Theatre Festival which took home five. The avant-garde master and Nobel Prize winner, Luigi Pirandello, was a prolific writer including some 40 plays. Other than the iconic Six Characters in Search of an Author they are rarely produced today. 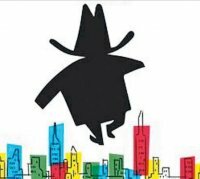 Notably Berkshire Theatre Group is presenting a new translation of the 1922 melodrama (his term) Naked. An evening with Christopher Durang is never boring. These two one-act plays are hilarious and different. The first, The Actor's Nightmare, reminds us all of what it feels like to be lost - uncomfortable - amid many laughs and great performances. The second, Sister Mary Ignatius Explains It All For Us, is a scathing, hilarious and extreme indictment of the force of any fundamentalist, controlling dogma. In this case, the Catholic Church and Sister Mary are its targets. All the performances are stellar. During the 1930s in media, movies and popular culture gangasters and bank robbers were regarded as Robin Hood folk heroes. That's a theme of this revival of Robert Sherwood's depression era drama The Petrified Forest. It is being given an entertaining production by Berkshire Theatre Group. If you plan to see Hair at the Unicorn Theatre in Stockbridge, as well you should, a few tokes of medical marijuana will help to set the mood. Be sure to wear some flowers in your hair. On opening night we spotted a granny with a crown of woven daisys. There has been yet another school slaughter just days before a close election for the incumbent Senator from North Carolina. He attends a funeral for kids who were classmates of his children. A blog reporter asks if he turned to God and prayer in a time of grief. An honest unfiltered answer threatens to sabotage his campaign. This leads to suprising and provocative results. The brief one act play is followed by a talkback after each performance. The shoulder season play Lost Lake, by Tony and Pulitzer winner, David Auburn, is an enthralling and richly rewarding two hander. It would be difficult to image a more finely nuanced production of a skillful and clever play. This is a classic comedy that still entertains with a spectacular cast and great timing! Arsenic and Old Lace ran for three years on Broadway starting in 1941 and still holds up. There is a lively production on Stage at Bekshire Theatre Group in Stockbridge. In 1958 the one act play Zoo Story launched the career of playwright Edward Albee. In 2004 he added a first act. That version , retitled At Home at the Zoo (Zoo Story), is being produced by Berkshire Theatre Group on its intimate Unicorn stage in Stockbridge. Barrington Stage Company in Pittsfield has a reputation for mounting an annual blockbuster revival of a vintage musical. It also has an an agenda to present message plays that inspire and inform audiences. In the era of Trump Barrington is presenting Ragtime which seemingly conflates the mandates for entertainment and education. It results in a long evening top heavy with big ideas, multiple characters and confusing subplots. With the rise of so many platforms of communication in today's world, are we really hearing one another? 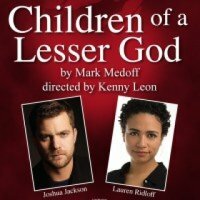 Children of a Lesser God focuses on truly listening and communicating in the world of the deaf. It portrays a love story between a hearing man and a woman who neither hears nor speaks. Their communication and connection are powerful to see in stellar performances by the lead actors, Joshua Jackson and Lauren Ridloff. The play runs to July 22 at Berkshire Theatre Group in Stockbridge, Mass. Million Dollar Quartet is based on a true story of a rare event - the coming together in one studio of four rock 'n' roll legends: Elvis Presley, Johnny Cash, Jerry Lee Lewis and Carl Perkins. Set on December 4, 1956, at Sun Records in Memphis, It was a night to remember for all rock n' roll fans! 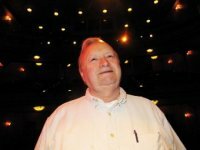 After a long illness, on March 10, the widely respected publisher and editor of Berkshire on Stage and Screen, Lawrence “Larry” Murray, passed away. 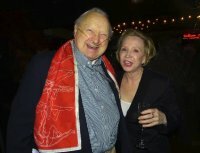 He organized the Berkshire Theatre Critics Association. Last November he rallied to attend the First Annual Bertkshire Theatre Awards. He presented the top award, named for him, to Jullian Boyd of Barrington Stage for community service through theatre. For the first annual Berkshire Theatre Awards seven shows received more than five nominations each including 11 for The Pirates of Penzance and eight for Broadway Bounty Hunter, both produced by Barrington Stage Company. Seven nominations were received for Or, and six for The Merchant of Venice at Shakespeare & Company. Also popular with five nominations each are The Rose Tattoo (Williamstown Theatre Festival), Little Shop of Horrors (Berkshire Theatre Group), and American Son (Barrington Stage). The Bakelite Masterpiece by Kate Cayley in Stockbridge at the Unicorn Theatre is a co-production of WAM and Berkshire Theatre Group. An artist is on trial for selling Vermeers to the Nazis. He has to make a fake to prove his innocence. The play is based on a true story in post war Holland. I happened on the Berkshire Theatre Company production on East 13th Street in New York and was entranced. Packed into a small stage and directed to perfection by Bob Moss, the intimate setting works perfectly for this musical portrait of an oversized man.